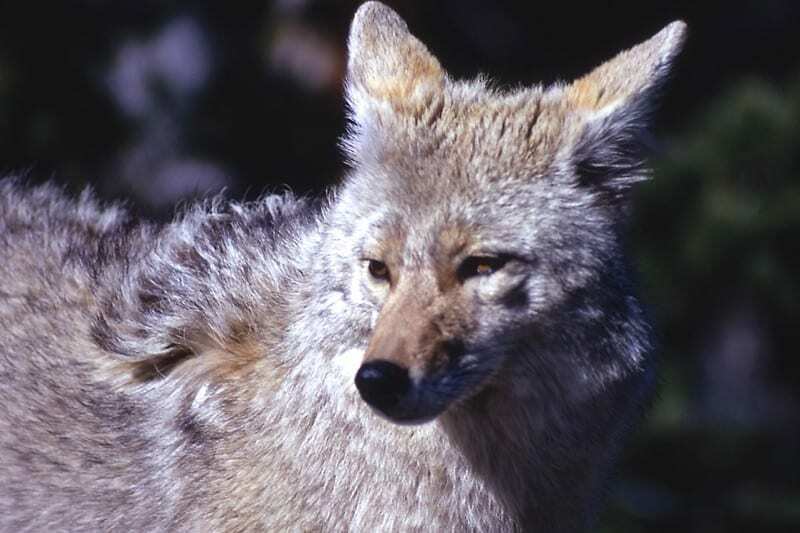 A licensed trapper hired by Nags Head left little doubt that coyotes are a growing suburban nuisance after catching eight males and nine females on town-owned property within the 13-week season that ended last month. The town is limited to the trapping season from December through February because it is one of five counties under rules to protect red wolves and because of limitations on firing guns in a populated area. Elsewhere in rural areas of the state, the animals can be shot on sight on private property and during daylight hours on public land with a permit. In Nags Head, the coyotes were euthanized after they were trapped. Police Chief Kevin Brinkley told the town Board of Commissioners Wednesday that samples of fur from each of the 17 animals were sent to the state Wildlife Resources Commission for signs of interbreeding with red wolves. Interbreeding has raised questions about how affectively the red wolf recovery program at Alligator River National Wildlife can maintain a pure strain and thus the need for limits on hunting coyotes. “I don’t now what it’s going to show, but it would be my hope that it’s 100 percent coyote, there’s not any red wolf in it, and maybe that will help our cause and show them, look, there’s not any red wolves over here,” Brinkley said. Coyotes can now be found in all 100 of the state’s counties. They have been on the Outer Banks since 2009, but only in the past two or three years have they become a noticeable nuisance. Wildlife biologist James Turner said in a 2016 Voice interview that coyotes can live anywhere, and in spite of their carnivore reputation, they are actually omnivores and will eat berries, fruits, even insects. Why do they have to be killed ? Is there another way to relocate them ? Curious to know which this fur bearing animal likes best, turtle or piping plover eggs? USFW to the rescue!!!! My cousin works for North Carolina trapping nuisance animals, most the animals he catches he has to take care of. He lives on a pretty good size farm in the county. Visiting his place its like a zoo, with Wolves, beavers, alligators all sorts of little critters. They’ve been trapped, shot and poisoned for 200+ years and their are more of them than ever. Better to keeep your little pets inside at night and let them clean out all the nasty feral cats. Now they should go after all the rattlesnakes . There is no stopping them from being here. They self regulate their population levels once an area is saturated. They are actually good for the environment. Song birds that come to our feeders are an integral part of our ecosystem and outdoor cats decimate the song bird population. The coyotes will kill these cats benefiting us all. And hopefully no more cat poop in my kids sand box. Welcome coyotes. PS Mr Morris’s opening line of a “growing suburban nuisance” is editorializing and not news reporting. These animals will self regulate..they susbsist mostly on rodents….we have had a rat problem on this beach perhaps the Coyotes can help control them….the popolation will level out as the food supply goes…. didn’t any one up there attend the public meeting put on by the NC Wildlife Resources Commission several months ago? i’ll sum it up for you here…. coyotes are here now and no matter the human method of removal they will come back by spreading from populations adjacent to your area. okay that being said, how much $ will you throw at a never ending cycle of human removal of an animal that will re-inhabit the same area? once again those in charge have exhibited their limited intelligence at the demand of a select few who harbor unfounded fears of a predatory animal. how embarrassing. Maybe a good coyote receipe will help control their numbers.